Ever wish you could peek into the beauty cabinets of other women? Ask them about each and every product before you gather your notes and make a beeline for the nearest Mecca? We did too, hence our Real Women, Real Routines series that will be running for the next month. We're shining a spotlight on actual women, and detailing the ins and outs of their personal skincare routines. We asked all the questions, from their approach to skincare, to issues they're dealing with, morning and evening beauty rituals, and the products they'll keep buying forever. In this week's column, brand founder and aesthetician Angela Caglia took us through every step in her luxurious but effective skincare routine. Caglia started as a skin therapist, and after a few high-profile clients, amassed a cult following who flock to her for indulgent but results-driven treatments. Caglia now has her own skincare line (of the same name) that recently launched in Mecca Cosmetica, so you can be sure she knows her stuff. Ritualistic and calming, her routine is the perfect form of self-care. Keep reading for all her favourite products. Describe your approach to skincare. My approach to skin care is uncomplicated and simple, but I use high performing natural ingredients that protect and soothe my skin and keep its barrier intact. I don’t have a ton of products on my vanity. I’m consistent with my routine and never go to bed without removing make up and treating my skin. How do you go about choosing your skincare products? I always look at the ingredients listing of any product before I purchase. I try to avoid glycols, fragrance, silicones, and colourants. I also check to see the order of the ingredients, because this tells me what it’s mainly made of. Do you have any skincare issues you’re currently treating? I’m in my late 40's, so my skincare concerns are mainly around fine lines and wrinkles, elasticity, and hyperpigmentation. I mainly use only my product line because others I've tried on the market disappoint me or make my skin react. I’m very picky. I create new products with my lab a lot. I’m very involved in the formulation of the brand. What five products do you buy over and over again? I use my Dream Exfoliant Sleeping Mask ($206) with glycolic acid every other night to help with pigmentation, exfoliation, fine lines and wrinkles. It’s like an overnight facial. My Soufflé Moisturiser ($161) is another one I couldn’t live without. It’s made of the best USDA certified organic and natural ingredients. It hydrates and soothes my skin immediately. It’s made up of aloe juice as the first ingredient (not water like most moisturisers), goats milk powder for calming, vitamin c, and of course my hero ingredient, meadowfoam seed oil. My new sheet mask ($82) is another must in my routine. It’s made of bio-cellulose which is the best for serum penetration. It’s made with hylauronic acid, peptides, vitamin c, meadowfoam seed oil, lactic acid and gold flakes. It has zero fragrance too, as most sheet masks have perfume which can irritate the skin. I use it before an event—it’s a game changer. 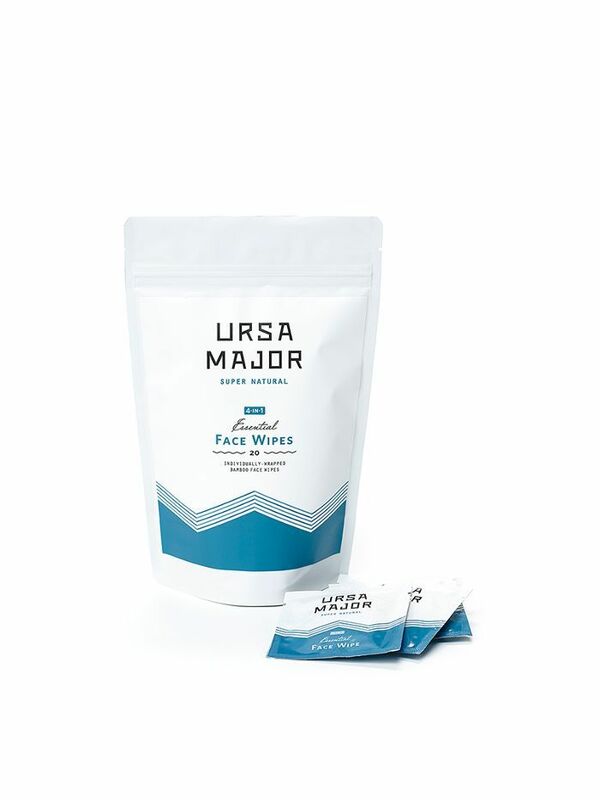 I also love the Ursa Major face wipes ($18) for travel. They are the best on the market in my opinion. Anything you’d never use on your skin? I never use synthetic retinol. It’s just not my thing. I want to age better naturally and keep my skin barrier intact. Walk us through the products and steps in your current morning routine. First, I rinse with cold water, then apply my Soufflé Moisturizer ($161). Next, I love to roll my face with my La Vie En Rose Quartz Rollers ($95) for 10 minutes. I keep them in the fridge, so they're great for waking me up. I also like to use with my new sheet mask ($82) every other morning. I wash all of my make off with a cleansing balm. I then use a creme cleanser as a second cleanse (I created one as part of my brand recently and it's in the process of testing). Next, I'll apply my Dream Exfoliant Sleeping Mask ($205) and go to bed with it on. Or I’ll apply my new Essential Beauty Drops (launching next year) and dip my rose quartz rollers in warm water and roll them over it. It's heavenly before bed!